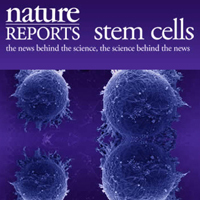 Research summary by Nature Reports Stem Cells: For many types of cell therapy, getting transplanted cells to integrate into a patient's tissue will be harder than making the cells. Researchers led by Leyan Xu of Johns Hopkins Medical Institutions, in Baltimore, Maryland had previously shown that grafts of human neural stem cells (NSCs) could relieve symptoms in a rat model of amyotrophic lateral sclerosis (ALS or Lou Gehrig's disease). Shortly after fertilization, a group of rare but nondescript cells begin to form in the mammalian embryo. They are the haematopoietic stem cells, able both to self-renew and differentiate into the entire blood system of an animal. Since their discovery almost 50 years ago, haematopoietic stem cells have been studied by legions of researchers, quickly becoming the best characterized of all known stem cells. Today, these regenerative cells are a mainstay therapy for cancers, genetic disorders and bone marrow diseases. But despite the wealth of information on haematopoietic stem cells (HSCs) and their widespread use in clinics and labs, their origins remain a mystery. And researchers aren't happy about it. 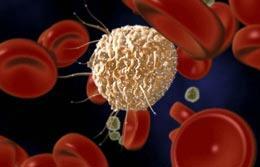 Throughout the haematopoietic community, a contentious debate persists over the birth of these cells. Insulin reverses the effects of aging and poor diet, at least on cells within the ovaries of fruit flies. 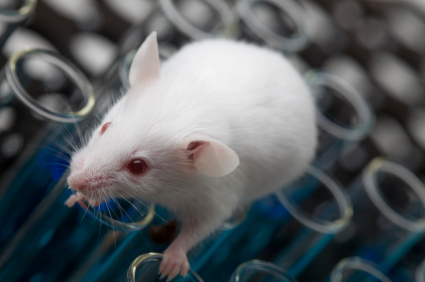 Biologists Daniela Drummond-Barbosa and Hwei-Jan Hsu of Vanderbilt University in Nashville, Tennessee, found that boosting levels of insulin-like peptides slowed down the decline in stem cell numbers and function that normally occurs as flies age. The hormone does not act on the stem cells directly, but rather via the niche — the cells that form a stem cell's support system. A stem-cell therapy appears to help some patients with early-stage multiple sclerosis recover, according to results from a preliminary study. Multiple sclerosis (MS) is a chronic disease where the body's immune system attacks the central nervous system. White blood cells in the body attack the protective myelin sheaths surrounding nerve fibres in the brain and spinal cord. Although symptoms of the disease wax and wane, they generally grow worse over time and include fatigue, blurred vision and difficulty walking.